Tea has been an integral culture element in Eastern nations for hundreds and even thousands of years. Often believed to bring happiness, wisdom and health, has seen tea recently start to appear in Western culture over the last few decades. There are so many more exotic tea varieties that go beyond simple green and black and in this article, we’ll take a look at some of the most exotic. Below are seven exotic teas from around the world that you absolutely must try before you die. Up first on our list comes the Ecuadorian Amazon Rainforest’s famous, highly caffeinated guayusa tea derived from the ilex guayusa plant. You’ll only find this tea in a handful of specialised retailers online, or in Ecuadorian cafes and stores. One of the most surprising parts about guayusa tea is the fact that it lacks bitterness. You’ll quickly notice that the tea is fruity and smooth, rather than sharp, demanding a sweetener. Reviewers have even described the guayusa tea as being creamy, without needing to add anything at all. A more popular but no less exotic tea is the mate variety. 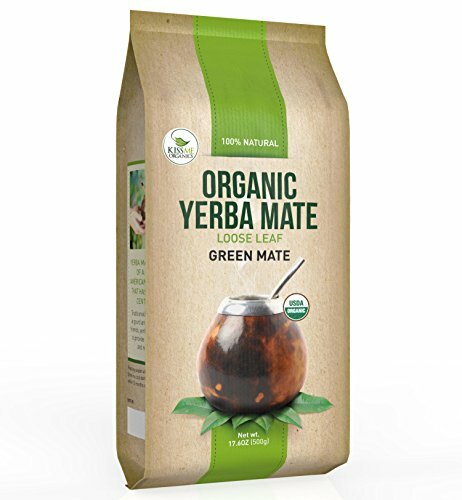 Coming from the Argentinian yerba mate plant, the mate teas are highly nutritious and often used in herbal medicines. The yerba plant produces teas with ultra-high levels of antioxidants and metabolism boosters. Unlike the smooth guayusa, the mate teas are more bitter and can be a lot stronger than common green or black teas. In South America, it’s often frowned upon to flood your mate tea with sweetener, however, in the West, we might find it a little difficult to drink without a hint of lemon, stevia or traditional sugar. It’s common to drink them with two special tools, known as a gourd and bombilla, however it’s not mandatory. Matcha drinkers will tell you that the powdered beverage is exceptionally rich with a sweet aftertaste, unlike black tea or coffee. The green colour in matcha powder from retailers like Kenko Matcha comes from a high chlorophyll content, giving the tea a slight vegetal or leafy taste. It’s a powdered, vegetal-tasting tea that’s high in antioxidants and slow releasing caffeine that offers an experience you won’t find in other tea. One of the more complex teas on our list is the Indian white tea which must be brewed from freshly picked flower buds and leaves immediately. As a quite expensive tea it might not become your new daily brew, however, it is certainly recommended you try it at least once! Originating in the Indian Himalayas, Indian white tea is said to have a distinct nutty flavour, unlike almost any other tea in the world. The tea’s unique blend requires a single bud and two leaves immediately steam brewed. This creates an exceptionally smooth texture and a slight floral aroma and taste. A combination of flowers and leaves makes the tea unique and you’ll be hard pressed to find a fresh Indian white tea outside India or China. It’s rare that you’ll find this tea in cafes outside of South Korea or China, however, if you do get the chance to try it, certainly don’t back out! The tea is brewed using roughly 20 grams of peach flowers and is often tied to relieving constipation, though assisting with pimples, blackheads and dark spots are some other benefits too. You’ll quickly notice that peach blossom tea tastes rather sweet, however, it doesn’t taste like peach. Drinkers will tell you that the tea is rather smooth, refreshing and creates a strong, room-filling sweet aroma. We didn’t say all of the teas on our list would be hot. In warmer Asian nations, you’ll find their local brews are iced, like cha yen. The tea is found almost exclusively in Thailand at roadside stalls and restaurants and is actually the country’s specialty tea. The tea is brewed from Ceylon tea and is infused with orange blossom water. You’ll also find the tea has spices added from local pine tree pericarps. Once complete, it’s iced then served. The main flavour you’ll find in cha yen is simply sugary sweetness with a hint of orange. Growing from the West coast of South Africa is the red bush or rooibos tea. The tea is high in antioxidants and has shown signs of assisting in controlling type-2 diabetes. Brewed from the Fabaceae plant family, which is technically a bean, makes rooibos tea a herbal tea. The rooibos tea is said to be naturally sweet and with a soft nutty taste, making it exceptionally smooth to drink. On top of this, the rooibos tea doesn’t have a tannin content as high as green and black tea, reducing its bitterness if consumed without sugar.